If you are a fan of the TV series "The Shield" with Mike Chiklis, then you will love this book. 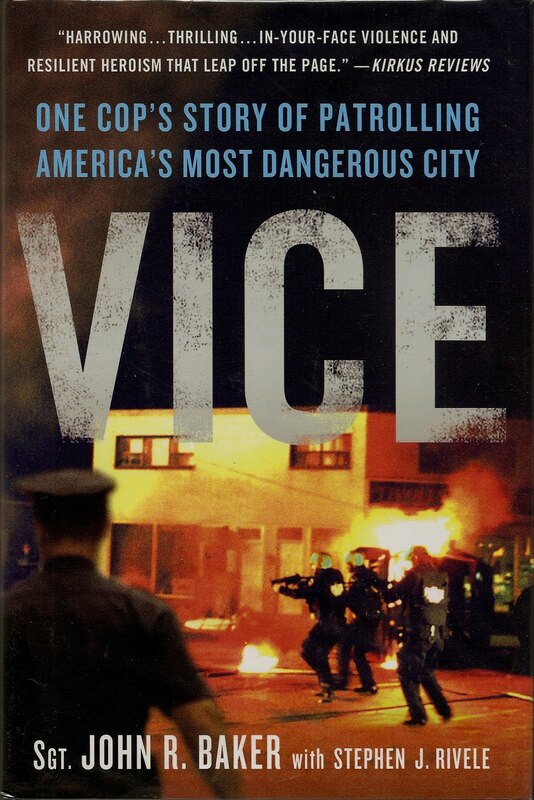 This is the true life story of the Compton California Police Department in the years leading up to, and including, the rise of gang violence in Compton. The book also examines the role that economics and race, along with the growing drug trade, have played in the devolution of a city. John Baker was born to a multi-cultural family, and raised in the Compton area in the 1950's during a unique time of change, both socially, and economically. This perspective gives him a very different approach to law enforcement. He has all the sensitivies and knowledge required to deal with the different cultures that make up Compton. One of the most interesting parts of this book is the way it chronicles the rise of gang violence after World War Two. The how's and why's of the turf wars, along with the graffiti known as tagging, are all carefully explained to the reader, in order to provide a better understanding of the war that rages in the streets of most American cities today. When the end of the 1950's rolled around, and with it the Fair Housing Act, "white flight" became the driving force behind the deterioration of once vivrant neighborhoods. As the real estate agents took advantage of the fear in these areas, the racial balance of whole sections of the city was changed forever. On some levels this was a good thing, and fair. But on other levels it would prove to be disastrous. The 1960's brought even greater social change, and upheaval, to Compton. The Black Panthers and other politically motivated groups moved in. With them came the drug trade, and soon the various gangs were waging war upon one another in the streets. This brought about the return of the "drive by shooting", which had been absent from the streets since the days of Prohibition. But politics makes strange bedfellows, and sometimes the threat of violence has united the police and the gangs. The Watts riot was actually kept at bay by a group of Latino gangs that formed a blockcade at the edge of Compton. Sergeant Baker also regales the reader with some of the finest anecdotal stories of police work that I have ever read. The cast of characters, and villians, is as long, and varied, as the author's career in law enforcement. This book will take you to the highest rooftops in Compton, as well as deliver you to the depths of depravity that the average Police Officer sees every day on the job. A riveting and informative read, this book looks beyond the headlines and TV shows which purport to portray life in the streets. Compared to Sgt. Baker's action packed memoir, they are all pretenders to the throne.